The dollar is in a more mixed pattern today. The yen strengthened overnight. The Brexit saga continues, and the pound is strengthening after falling in early trading. Oil prices are rising as supply from Libya is likely to suffer from some disruption due to the escalating civil war. The dollar is mixed today. The US-China trade talks continue. Over the weekend, Larry Kudlow said the negotiations are getting “closer and closer” and talks are scheduled to continue this week. The White House will look at additional trade tariffs of up to $11 billion on European goods in retaliation to European subsidies to Boeing rival, Airbus. PM Theresa May is visiting French President Macron and German Chancellor Angela Merkel today to plead her case for an additional Brexit delay while her ministers remain in the UK and attempt to gain consensus across party lines. Tomorrow, the EU states will decide whether or not to grant an extension. The House of Lords passed a bill to stop a no deal exit from the EU. The European Central Bank has its next policy meeting tomorrow. The EU summit will also take place tomorrow to decide whether or not to grant an extension to Brexit. 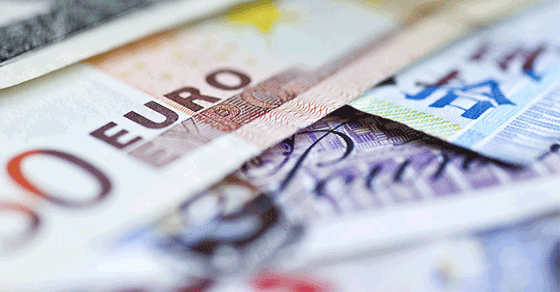 Euro movements are being influenced by the dollar. Italy will come out with its revised debt ratios today. The Canadian dollar strengthened as oil prices rise due to the war in Libya. Far East stocks were influenced by the rally in oil prices driving indices higher. The yen strengthened. The US-China trade talks are said to be making some progress. The Australian and New Zealand dollars strengthened against the greenback. It is Election Day in Israel today. PM Netanyahu faces a strong challenge from Benny Gatz. The Bank of Israel left interest rates unchanged today.